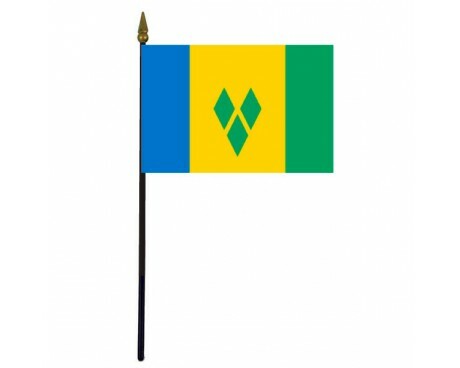 St. Vincent & The Grenadines Stick Flag - 4x6"
The current flag of St. Vincent and the Grenadines has been in use for less than fifty years, and it represents a significant departure from the nation's previous flags. 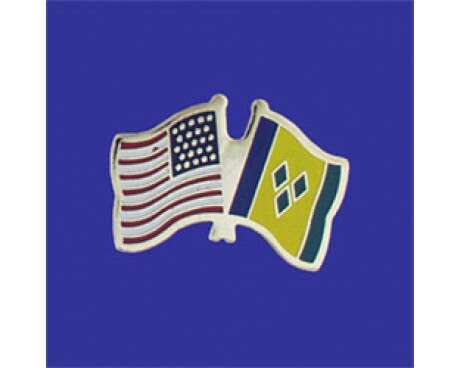 It features the same colors as the previous St. Vincent and the Grenadines flag, but it has a new emblem that has very little in common with the emblem that was displayed on the older flags. 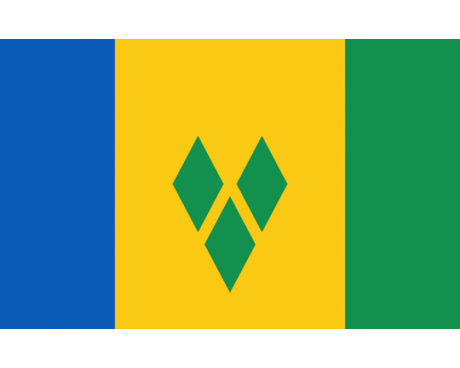 The current St. Vincent and the Grenadines flag is a vertical tricolor of blue, gold, and green. The central band of gold takes up half of the flag, and it features a trio of green diamonds near the center. Those diamonds represent the Grenadine Islands, and their shape was chosen in honor of the fact that St. Vincent has been known as the "gem of the Antilles." The flag's colors represent the natural features of the nation. The green band represents the plants that grow on the islands, while the gold band is a symbol of their beaches and the blue band represents the sea. 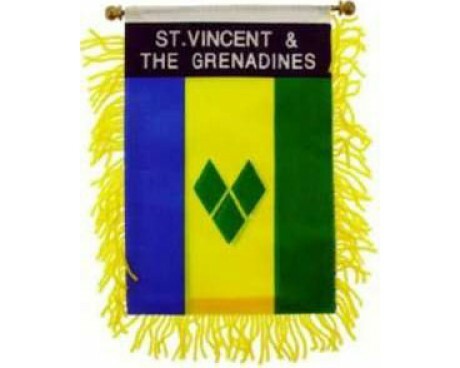 The first flag of St. Vincent and the Grenadines was granted to the islands by the government of the British Empire in order to represent them during the colonial period. That flag followed the usual pattern for colonial flags in the British Empire. It had a blue field that featured the British Union Jack in the canton and the colonial coat of arms in the fly. That flag was replaced when St. Vincent and the Grenadines became an independent nation in their own right. The first flag of the independence period had the same colors as the modern flag, but it separated the three large bands with white stripes and used a breadfruit leaf with the nation's coat of arms in place of the three diamonds. It was adopted in 1979, and the white stripes were removed from it in 1985. 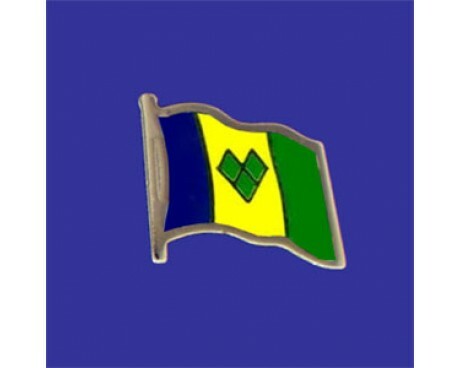 The 1985 design only lasted for a few months before it was replaced near the end of the year with the current design, which has been used to represent St. Vincent and the Grenadines ever since.